Camp runs 5 days a week (Monday-Friday) 9:00am-4:00pm. Before and after care are also available. If you must drop off late or pick up early, please walk your child into camp and sign in/out at the front desk. NO early pick-ups or drop-offs on Wednesdays (field trip day). How is the day scheduled? Each week brings something new and exciting! Mondays, Tuesdays and Thursdays consist of four periods where campers choose their activities. Every Wednesday, all campers go on field trips (4th – 6th graders go on an additional field trip on Tuesdays). Fridays are for celebrating Shabbat with special programs and an end-of-week talent show or lip sync competition. Please view the bottom of the Kid Camp page for more information on daily schedules. Campers at our Intown and Sandy Springs locations swim at nearby pools equipped with lifeguards. You will learn pool locations prior to your child’s first week of camp. When will I receive more information and what does my child need to bring? Shortly before the summer begins, we post a daily pack list on our website. On Fridays, before each week of camp, you will receive a detailed email so you and your camper are fully prepared. Where are the field trips? 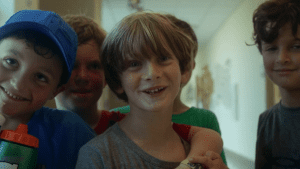 Campers are grouped by grade, but spend the week interacting with other groups (mixed ages and genders). You can make bunk requests on the camp application. We always do our very best to accommodate requests as we know how important this can be to campers, but it is not guaranteed. If you have a special request, you may email us at camp@inthecitycamps.org. Do half-day campers participate in activities with full-day campers? Yes, half-day campers will participate in morning activities alongside the full-day campers. 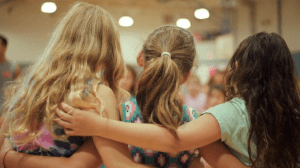 Can my child request a friend in another grade? Yes, please indicate that in your bunk request on the camp application. You may also email us at camp@inthecitycamps.org. Can you tell me who is registered the same weeks as my child? We do not share camper information for privacy reasons, but are happy to tell you if other kids from your child’s school are registered. Our campers come from every school and synagogue in the city and MANY do not know others on their first day. We maintain a 6:1 ratio minimum. A $125/week/child deposit ($75 for half-day programs) and a $35 nonrefundable registration fee are required at signup (excludes single day). Deposits go toward covering weekly camp fees. The registration fee provides each child with a camp t-shirt for field trips, and allows one schedule change. The remaining balance is due no later than March 31, 2019 to secure Early Bird rates. Accounts with balances as of April 1, 2019 will forfeit the Early Bird discount. All balances must be paid in full by April 30, 2019. Registrations occurring on or after May 1, 2019 must be paid in full at time of purchase. The full deposit is due upon registration (prior to May 1, 2019). However, if this is an issue, please email us at camp@inthecitycamps.org. When registering online, you can choose a payment plan for the remaining balance. If after May 1, the entire balance is due at the time of registration. Yes, we do! Read more about it here and apply online now. Multi-week discounts are available at our Sandy Springs location ($15 off summer rates per week when registered for 3 or more weeks). Early Bird Rates (our best discount) when you register by March 31, 2019. Discounted rates at our Intown and Johns Creek locations! View rate information here. Balances paid in excess of the deposit will be refunded in full at all times. Only the deposit is subject to the refund policy above. The registration fee includes one schedule change. After that, a $10/change fee (per child) will be applied for changes in camper weeks. All changes are based on availability. We request that families notify us of date changes as soon as possible. Yes! Log into your camp account and click on CAMPER APPLICATION. Click your child’s name and scroll through the application, adding the desired weeks when prompted. Continue to the final payment page to complete. 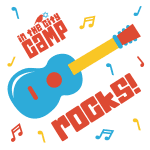 Or you may email camp@inthecitycamps.org and we are happy to assist you! How can I view the weeks my child is registered? 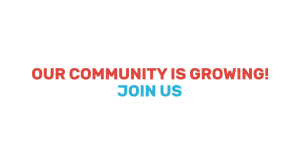 Log into your camp account and click on CAMPER INFORMATION. Where are the bus stops? You can view complete information about our FREE bus transportation here. Can I add before/after care or bus transportation later? Can I change bus stops? Yes! Just email us at camp@inthecitycamps.org. Changes must be made at least 24 hours in advance (we cannot accommodate same-day changes). Bus transportation is limited and available on a first-come-first-served basis. What are the before/after care times and prices? You can view full information here. I didn’t get to choose my bus stop when I registered. How do I do that? We send out a transportation form to choose your bus stop in the spring. What kind of bus is used to transport the campers? In the City Camps contracts with a local bus company which provides standard school buses for daily transport. All drivers submit a background check, hold a CDL license, and meet all bus driver state requirements according to the Georgia Department of Driver Services. All buses used to transport campers meet Georgia safety guidelines. Both parties are fully licensed and insured. Where do I go for carpool? There is signage directing you for carpool. Camp staff greets arriving campers every morning. Please display the carpool sign in your window with your camp family number clearly written on it for afternoon pick-up. Can my child be picked up by someone else other than myself and/or another primary guardian? Yes, as long as that person has your camp family number to provide at pick-up. This also applies for pick-up at the bus stops and after care. Do I need to complete any health forms for my child to participate? There are medical questions on the camp registration form and the Camper Insight Form (sent in the spring). Another form will be required the first day of camp for children with food allergies and for those who need to take medication during camp hours. Can ITC accommodate children with peanut or other life-threatening allergies? Yes, but In the City Camps is NOT a nut-free environment. We do not serve or sell any food that contain peanuts. All campers will allergies wear an allergy bracelet with all allergies listed. The staff are trained in proper allergy protocols.